The capital of Estonia is renowned most of all for its beautiful Old Town, which has survived a long history of raids, invasions and occupations and retains its medieval charm up until the present day. A large portion of the foundations of the Old Town were laid by the Danes, who ruled the city for much of the 13th Century and on into the 14th, and who were said to have given Tallinn its name (Taani Linn = Danish city). It was during this period that the streets were laid out and the fortifications built. After joining the Hanseatic League (a powerful union of trading cities) in 1285 the Tallinn enjoyed unprecedented prosperity. It's position as a port, and as a link between mainland Europe and Russia, enabled it to grow rapidly in size and wealth and many of the city's finest buildings were constructed during this period, which lasted until 16th century when the Swedes claimed the city. In the time of Swedish rule more fortifications were added and the architecture took on the baroque flavour of the times. Nowadays, the Old Town's gothic and baroque splendours can still be savoured, ensuring Tallinn's status as a tourist city, but outside this ancient district highrise developments of glass and steel are adding a very modern feel to the city. Meanwhile, business, especially in the IT & telecommunications and service sectors, is driving the economy forward. Skype is the best-known of several Tallinn IT startups, and The New York Times described the city as "a sort of Silicon Valley on the Baltic Sea". The city has a population of 4.4 million, and of all the cities in the EU, Tallinn hosts the largest number of non-EU nationals: 27.8% of its population, the vast majority of whom are Russians, who settled here in Soviet times but have not been granted Estonian nationality. Although Estonian is the city's official language, English, Russian, and Finnish (to which Estonian is the most closely related) are widely understood. The Republic of Estonia is located in the North East of Europe (it is the most Northerly of the three Baltic States), and South of the Gulf of Finland, which separates the country from Scandinavia. It shares a border with Latvia (South) and Russia (East), and has 3,794 km of coastline (North and West) and 1,520 islands in the Baltic Sea. The country is largely covered in forest and marsh with 1,400, predominantly small, lakes. It is one of the smallest countries in Europe (148th in the world), although it is larger than both Belgium and the Netherlands. Estonia's population is a little over 1.3 million. 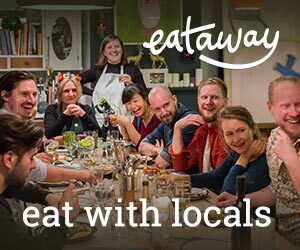 Estonians have occupied their country since the mid-3rd millennium BC, when Finno-Ugric tribes arrived from the East and mixed with forerunners of the Baltic people. The oldest written record of Estonia however didn't appear until 1154, when the Arabian cartographer Al Idrisi marked Tallinn on his world map. The country has been subjected to foreign rule for most of the last millennium passing through the hands of Danish, Swedish, German, and Russian rule, before first attaining its independence in 1918. This independence however, was short-lived as Estonia was forcibly incorporated into the USSR in 1940 and only regained it's own sovereignty in 1991 with the help of the 'Singing Revolution' - during which masses of Estonians gathered night after night, for four years, to sing forbidden national songs in repudiation of Soviet policies and rule. Since 1991 Estonia has developed one of the most successful economies out of the ex-Soviet states, partly because of its willingness to embrace new and modern technologies (Estonia is the most 'on-line' country in the world! ), and partly because of it's ability to make wholesale changes in economic policy with ease. In regard to this former Estonian President Lennart Meri noted the following: "Estonia's like an Eskimo's kayak and can turn on the spot. Bigger countries are like a supertanker that needs 16 nautical miles." Estonia's economy has also benefited greatly from developments in and investment from Finland, Sweden, and Germany, its three major trading partners. 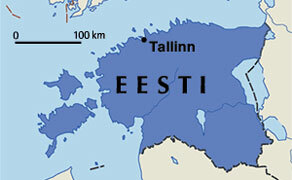 Estonia is a member of the WTO (World Trade Organisation) and joined both NATO and the EU in the spring of 2004.